The process of creating is also the process of eliminating. After the initial inspiration, I seldom look up to see the scene, I let my imagination and the colours take over quietly and without fanfare or fuss… 😊 This, for me is the best way to overcome a block, if any. 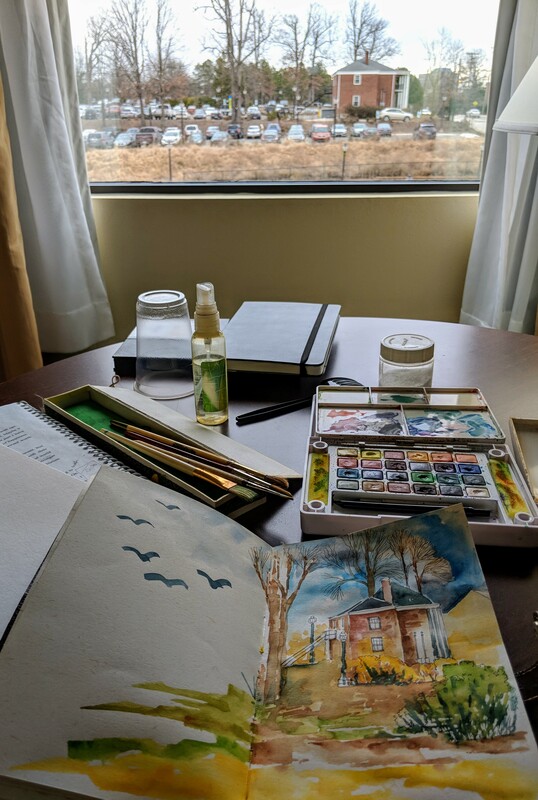 As I keep my art journal, my emphasis is on the mood and feel of what’s going through me rather than making an exact replica of what lies ahead in my field of vision. My journal is a collection of some truths, some half-truths and some complete lies 😁! This entry was posted in Art, creativity, Inspiration and tagged art, emotions, feeling, freedom, journal, memories, painting, sketchbook, watercolours. Bookmark the permalink.